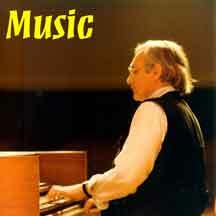 Take Tunes/Music you know, and make keyboard arrangements or Improvisations with them. This is an old and much-used idea, but one that has not generally been associated with 20th or 21st Century Harpsichord playing. This music brings a lovely glow to this wonderful instrument that first appeared in about 1500. BIO: Don began playing in public at the age of 12, moved to Boston, MA in 1961 to study at the Berklee School (now College) of Music. In 1962 he took a "temporary" job with the Harpsichord Maker William Dowd, and stayed 28 years. During this time of employment, he was encouraged to try some of this material on the harpsichord, and it was so well received that concerts and recordings became an increasingly important part of his activity. He has appeared in Europe at Merseburger Orgeltage 2002, on Austrian Radio, at the Rodin Gallery in Seoul, South Korea, the John F. Kennedy Center for the Performing Arts, and the Cleveland Museum of Art. 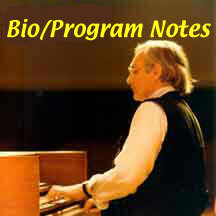 He has had four appearances with the Augusta (GA) Pops Orchestra playing his orchestrated keyboard arrangements. The very latest recording has just been released — AFKA SK 560 "Yes Indeed!" Click here for contents and ordering information. This recording is now available thru Borders.com, Yahoo, and Amazon.com. Check Google - Search for "Don Angle" or "Donald Angle" for further Internet Outlets. It is available thru most Retail Outlets. His appearance at the Chatauqua Institute in June of 2004 was very well received. "[Angle's] rendition of "Scarborough Fair" was a new joy, as was the entire concert since most of what he played seemed to have been destined for the harpsichord though we all know better." The above sentence seems to put into words, the very special delight I get from finding just the right notes, just the right tempo and, perhaps most important, the sense that a particular bit of music has just become a Friend of the Harpsichord; a definitive Goldilocks Moment you might say. And since these arrangements and compositions I've done have delighted a wide range of listeners, both in concerts and recordings, over the last 25 years, it does feel that something here is "just right". It is fun, and sometimes a lot of hard work, to adapt a tune for the harpsichord. The harpsichord was a primary keyboard instrument for nearly 300 years - from about 1500 to 1800, then had a long "vacation" until 1889, when interest in it began to revive at the Paris Exhibition. My own collaboration with this "Glorified Guitar" (as one friend called it) began when I went to work for William Dowd - the Boston Harpsichord Maker - in 1962. My music comes from, or is influenced, most directly, by 20th Century Pop, Country, and Jazz, and is mostly geared to solo performance. Now with the Pops Arrangements and "Stringalong" the Harpsichord and I are finding other places to express its magic.